These words were uttered by the Pontiff at a private meeting with 90 Jesuits in Santiago de Chile, during his recent apostolic visit to South America. Their conversation was transcribed by Fr. Antonio Spadaro, editor of La Civilta Cattolicà, and was published in Italian with the Pope’s approval on their online site on Thursday morning. In this you are correct, Your Holiness: there will be plenty of strong “resistance” from orthodox members of the Church Militant towards your attempts to “make changes” to unchanging doctrines. 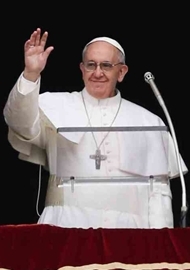 No man, not even the Pope, has the authority to alter the Catholic Church’s Magisterial doctrinal teachings on Faith and Morals, for these have come down to us from The Word, Christ Jesus Our Lord, through the guidance of the Holy Spirit to the Apostles and Doctors of the Church from the very beginning. “Development of Doctrine” (a term that refers to how Doctrine may be brought to a greater comprehension as the world changes around us, whilst ALWAYS remaining exactly the same in essence) does not legitimise changing a Doctrine to mean something totally different. Great saints and scholars of the Church – e.g., St Thomas Aquinas, Bl. Card. John Henry Newman – never made the mistake of wavering from the intrinsic truth of the Doctrine when they delved into clarifying its meaning through development. There will also be resistance to your incomprehensible desire to change other traditions and devotions of the Church that have never grown old, as you seem to think, for they are timeless. Although some of them are perhaps not strictly part of the untouchable Deposit of Faith, these “traditions” have, through their pious significance and living out of spiritual realities, helped millions of souls down through the centuries to an increase in love and understanding of their faith. Beware of the errors of Modernism! “He protects his sanity while he drives the rest of us crazy”: a quote from Bishop Emeritus René Gracida of Texas! Ah, that explains a lot: the old kumbaya, Spirit-of-Vatican II crowd are still at it, flogging their dead horse! And those “groups” you say you are “familiar with” just happen to be a very large (if not most) of the entire Body of the Catholic Church. Have you not noticed? No you don’t. The dialoguing is only done by you, Holy Father, or your like-minded progressive bishops. Faithful clergy and laity are given no right to dialogue if their views differ from yours. (E.g., Cardinal Zen, the dubia Cardinals, the faithful Cardinals kicked out of the Synods on the Family, members of the FI, anyone protesting the heretical spoutings of your Modernist and/or lavender clergy, those faithful Catholics speaking out for persecuted Christians like Asia Bibi, and so on, and so on … in fact the list of those who are not allowed “to dialogue” is pages long now, far too long to be included here). Yet you allow the followers of Islam (the greatest persecutors of Christians), LGBT advocates, pro-abortionists, Catholic-loathing Protestants, and many other enemies of the Church – the Church whose teachings you were elected to defend, by the way – to dialogue and spread abroad their errors to their hearts’ content! It is a horrifying shock for Catholics who in the past always knew that come what may, the solid Rock of the Church and her Vicar on Earth would never fail them. We still have the solid Rock of the Church and her solid Magisterium to cling onto… but where is our true Vicar? We have had a few of what are called “bad Popes” in the Church’s 2000 year history, due to these men’s wordiness and lack of good morals, plus some terrible times of anti-popes and schisms, but with exception of some isolated heretical mistakes made by Popes who later recanted, e.g., Pope John XXII, mentioned above, it is unheard of that a Pope should stick firmly to heretical teachings. As far as we know, Pope Francis is not an immoral man, nor a lover of luxury. Also, in some cases, he shows concern and sensitivity towards certain people or groups of people who suffer or are marginalised from society in some way (but not, unfortunately, to others). He will not go down in history as a “bad pope” for reasons of immortality or greed. 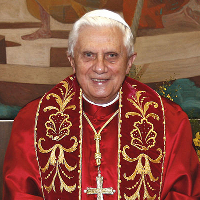 His future much-critisised legacy – unless he too recants, please God, – will be the way he tried to submerge the Bride of Christ into the heresies of Marxist, Secular Modernism. It is a great tragedy – many souls have been led astray – and a tragedy that will take much time in which the Holy Catholic Church will have to recover. But this we know: She will recover, and this period of Her Via Crucis will be conquered, a thing of the past, through the grace of God and the Triumph of the Immaculate Heart of Mary. May God have mercy on this pope, this wolf in shepherd’s clothing. May God also have mercy on the souls he has led away from the truth of Christ through his grave errors. A further thought: this pope doesn’t read heresy accusations? Who then is responsible for all the punishments meted out to those who disagree with him? Who is responsible for the ongoing attempt to unmask the author of “The Dictator Pope”? When confronted with opposition, the classic lie of all evil leaders is, “I ignore all opposition,” while in private they rage against it. According to reliable sources, that is exactly what this pope does. Have you read the Devils Final Battle by Fr. Paul Kramer? There’s no dialogue allowed by the current regime except with non-Catholics.‘You’re either for me or you’re against me’ is the name of the game Pope Francis plays when it comes to people inside the Church. No middle ground. No debate. No correction. Does the pope actually not read the writings of “this so-called resistance” which he scorns? Does he only listen to people who agree with everything he says? If so, he sounds more like the only fat man in North Korea, than he does a worthy Vicar of Christ. I expect Pope Francis does indeed now refuse to read the writings of most of his critics* – in this he is probably not bluffing – but it’s pretty obvious his close cronies read them, right down to every last detail! ** Just look at their KGB-type tactics, according to the National Catholic Register, in trying to discover the true identity of the author of ‘The Dictator Pope’. Were Francis to read all the mounting worldwide criticism he would be “boiling with rage” (pace Ed Pentin) all day long as he beholds the tremendous amount of “resistance” in the Church to his so-called “changes”. “How dare they! I am the Pope”… yes, he once really said that when one of his proposed changes was balked! A daily dose of such rage would greatly raise his blood pressure, so he leaves the dirty work to his like-minded Vatican officials. ** Vox Cantoris once posted a pic on his blog of a furious Pope Francis, pro-LGBT Fr Thomas Rosica, and a couple of others, all pouring over one of Vox’s posts criticising the latest heresy to come from the Francis crowd! I just want to clarify one thing I wrote in the article… I mentioned “Catholic-loathing Protestants” together with other heretical groups to whom Pope Francis gives free reign and even acceptance to spread their errors through “dialogue”, while refusing the same right of dialogue to faithful Catholics. In no way do I include all Protestants in this description of Catholic loathers. Many definitely do not hate us (as we all know); and in fact most people who define themselves as Protestants appear to be largely indifferent. Yet there are radical sects of Protestants too – many concentrated in the US ‘Bible Belt’ who are now spreading anti-Catholic bias in Latin America – who despise the Catholic Church thanks to a systematic brainwashing of falsehoods about Her history and teachings. Unfortunately we must also include those who have left the Church after having been victims of the clerical abuse scandals, mostly coming from homosexual predators when the seminaries became lax and liberal and infiltrated with queers. RBJ response and Kathleen were good. Such an interesting conversation on the outside (distance) looking in on the current papacy. Sometimes I wish I didn’t know all these things, but that would be foolish. Then dialog with an opposing view is not possible? Sounds like an arbitrator is in order. Someone who could sort through all this “stuff” and make sense of it, and come to a consensus about the words being used, instead of feeling personally attacked about one’s thoughts, questions, statements. His bubble is too small perhaps and there is only trust in those in the bubble? This is bothersome. We must give some credit that some of his thoughts are very kind, merciful, and thoughtful. But the other things we read, heard, and see about him are questionable. I wonder about the ability of depth that he can articulate his thoughts that sometimes don’t sound very developed. He cannot write like Pope JP or Benedict, which we can’t expect, since he is a different person, but his assistant writers don’t really help him either since they are probably in the bubble. From within the grassroots church (at least US, UK, even Ireland) I see such wonderful development of depth, apologetics, spirituality that I would never have expected even 10-20 years ago. I am encouraged by that. It is similar to the polls during the election – all polls pointed to Hillary, but look who won. All fake news goes against the president, but still he is there – daily battling it, much of it on his own. He will negotiate. So too with the pope but just the opposite – the lib media and cronies use his quotes with half truths to prop him up, but he is battling the grassroots because they feel they are not getting the full picture. Negotiations are not possible, but dialog with opposing views SHOULD be possible and it’s not. Many posters’ comments are true – keep our noses to the grindstone and follow the truths that we know are true as stated in the catechism. Pray always. Except, if the ‘moderators’ don’t like the opposing view, they simply kill it. And you don’t know it ever existed. They excuse it as a ‘broken record,’ or ‘boring. This claim is unsupported by anything in your story kathleen, sorry — that some have made some public allegations against him about so-called “permitting the spread of seven heresies, at least by omission” does not constitute any manner of the Pope actively seeking to “change” any genuinely unchangeable doctrines. 3) Endorsing an interpretation of the exhortation by Vienna Cardinal Christoph Schönborn that allows for Holy Communion to be given to adulterers — He never did anything of the sort ; Schönborn made some public comments about the exhortation in several languages, and it was clear when I looked into this manner that the Pope was referring to a particular explanation that the Cardinal gave in Italian, which contains no such proposal. This therefore does not constitute “heresy”, whereas it is clear that the Cardinal’s words supporting such an idea elsewhere might very well do so. Even this is doubtful though, because Cardinals have the right to make such proposals. 7) As for the Maltese document, nowhere does it ever state that those committing adultery are to be admitted to Communion, instead it speaks of “a separated or divorced person who is living in a new relationship” — “living in a new relationship” does not mean “committing adultery” — whereas the possibility of the Sacraments by such a person is conditioned by “a desire to make a more perfect response to it“, which in the paragraph preceding is clearly designated as meaning “conjugal continence“. Recognising that some may be unable to practice that “perfect response” does NOT constitute providing the Sacraments to such people. The document indeed takes pains to establish that NOT all so-called “irregular situations” are situations of adultery as such, given that the most common form of such situations is being in a relationship which is completely outside Sacramental Marriage. NONE of this constitutes “heresy”. Whereas to accuse the Roman Pontiff, publicly and insistently, of these things quite obviously constitutes a schismatic act, even though without the condemnation of a competent judge against the people who have made these accusations, they can no more be condemned for “schism” than the Pope can be for “heresy” — though if they carry on in this vein, sedevacantism or some formal act of schism, such as a statement declaring a formal rejection of subjection to the Roman Pontiff (which IMO they are veering dangerously close to by such objectively reprehensible acts of public scandal), would appear to be inevitable, as they would by their actions bring it upon themselves. And what exactly is the so-called “resistance” anyway, that the Pope has condemned ? Le resistenze dopo il Concilio Vaticano II, che sono tuttora presenti, hanno questo significato: relativizzare il Concilio, annacquare il Concilio. Mi dispiace ancora di più quando qualcuno si arruola in una campagna di resistenza. — it’s the “resistance” against the Second Vatican Ecumenical Council. So the Pope has condemned some objectively heretical and objectively schismatic rejections of that Council ; and NOT what all of these so-called “resistance” people are claiming, quite falsely. One does get quite bored with the necessity of having to constantly repeat these things due to the constant attempts by some people, sorry kathleen, to propose or to repeat accusations against the Pope that are devoid of any genuinely serious foundation. Nobody is required to like Pope Francis, and nobody is required to agree with certain of his personal opinions, but disliking this particular Pope or disliking his personal “style” or his manner of providing his teaching Ministry does not “justify” these sorts of personal attacks against his person nor against his Pontificate. Jabba. If all your 7 points are true, you clear up much of the confusion. Perhaps speculation and interpretation of looking from the outside is just a fear instead of a reality. The signatories are not making a formal accusation of heresy to Pope Francis. They are asking him questions – a legitimate facility the Church provides, last used in 1333 – that any faithful Pope could easily respond to satisfactorily affirming Catholic teaching and that would put an end to all the controversy. He has declined to respond!!! Does that not tell you anything? They speak for us, Jabba. They want answers. Nothing more. Yes, Pope Francis has made “attempts” to do just that! Shocking, isn’t it! Well spoken Kathleen, and more gently charitable toward our dadaesque didactitian than he deserves. He wriggles out of and explains away all criticisms of the pope, no matter how measured / constructive they happen to be. When people state facts that go against his unquestioning loyalty to the man, rather than making an effort to see why they say such things, he goes on the offensive with long-winded (very long-winded) confusing and tortured arguments to protect his hero worshipping prejudice – going so far as to call theologians and canonists far more qualified than himself nothing more or less than a large bunch of “idiots”.This is not good. May God bless the newest addition to your family. We await ours 6 months hence. No, it’s an indictment of the twisting of the truth by a certain type of politically-motivated conservatives (and of their opposite numbers in the “progressivist” camp, though you do like to gloss over my lack of respect for the extremists in both camps in your responses to me — and of the occasional outright lying, as for example in the blatantly false depiction of the diocesan norms established by the Vicar of Rome, Cardinal Vallini. No, but I can’t see that it’s much use to blame all of these things on a particular scapegoat, whereas it might be far more worthwhile not to give in to chaos, to keep one’s clarity in the face of the chaos, to cleave to orthodoxy in the face of the perplexity that the politically-motivated in both the “liberal”-“progressive” and the so-called “resistance” camps seek to create, to no discernibly good purpose, and to keep calm in the Faith in lieu of fostering anxiety. Outright calumnies do not constitute “truth”, nor the “defence” of the Church, nor do they constitute “good Catholicity”. See ? This is what “jesuitry” looks like … “we’re accusing the Pope of propagating seven heresies, but we’re not “formally” accusing him of doing so …” — hmmm, is that a fig leaf of hypocrisy that I espy in that weasel-word “formally” ? Please re-read my phrase : “Nobody is required to like Pope Francis, and nobody is required to agree with certain of his personal opinions, but disliking this particular Pope or disliking his personal “style” or his manner of providing his teaching Ministry — I don’t particularly like this Pope either, but that doesn’t mean I’m going to start going around devising false accusations against him, as some others have clearly decided to do. I’m routinely accused by the members of each extremist political camp of belonging to the opposite camp. Which is all just pure Americanism of course, from people who think that the Church should be defined by their own political lobbying and agitating, and Catholics categorised as being either “us” or “them” for the purposes of these mere politics. And the problem is only amplified when genuinely good and Faithful Catholics succumb to the siren song of whichever group of political activists, whether they be so-called “progressivists” or so-called “resistance” (or any other manner of fake theology epithets such as “Pope Francis Catholics”, the “Spirit of Vatican II”, “rad-trads” and so on). There always has been and likely always will be a certain number of really dodgy local Bishops in the Church — this is hardly a new phenomenon, as can easily be discovered by just reading the Apocalypse/Revelation of John. Or is the Pope somehow to be personally blamed for this nearly 2000 year old history of some occasionally quite seriously bad local clergy, and the occasional dodgy Prelate or Pontiff ? Not in my name they don’t — unlike some others who most certainly do, such as Bishop Schneider, or the Cardinals who presented their Dubia concerning the exhortation. I have never come across a single accusation of his having done so that’s capable of withstanding even a simple critical analysis of the source texts where such so-called “attempts” are supposedly located. Or how else would you see his remark that Hell could not be “forever”? You would be completely incapable of finding a single statement by the Pope to that effect, given that he has made no statement of that sort. The Pope has made statements that certain biased and politically-minded individuals have decided, for their own purposes (a modo loro) to interpret in a certain particular manner, to either promote some imagined pontifical approval of Communion for adulterers, or to condemn a so-called “nu-church” or “Vatican II church” and the present Pope of the same imagined pontifical approval of such things. The Pope meanwhile, in his own Diocese, via the norms published by Cardinal Vallini, has clearly established that a commitment to continence — AKA to ending an adulterous situation — is the condition sine qua non to perhaps returning to receiving the Sacraments. You do realise that this means that ALL Cardinals, who by definition are Roman Clergy subjected to the Diocesan decisions of the Pope or of the Vicar of Rome are required by Law to obey this, and yes this includes Cardinals Kasper and Schönborn ? Is their will towards a disobedience of these norms the fault of someone else entirely ? No it isn’t — given that it would be objectively false to state either that all divorced-remarried could take the Sacraments just as it would be objectively false to claim that no divorced-remarried whatsoever could take them. But instead, only those “in some cases” can receive them, which might BTW include “some cases” of those divorced-remarried who have never been Sacramentally but only civilly married, and other such so-called “irregular situations” not constituting adultery. NOT all divorced-remarried are in situations of adultery, which is something that the political extremists of either side never consider in their extremist diatribes. As for your “62 (and counting I’m told) devout Catholics (including theologians, University professors, lawyers and scholars)“, well such men as Luther, Calvin, Zwingli, Cromwell, Saint Joan of Arc’s judges, Arius, Hans Küng, and literally countless others were or are “theologians, University professors, lawyers and scholars” — or what, are you, to paraphrase, an adherent of scholalatry ? No, I said that certain particular statements were, and are, idiotic. In charity, I will refrain from detailing how I might apply this epithet to the parts of your own post that I’ve quoted hereabove. Finally! Something conciliatory, coherent and concise. Still waiting for some similar effort in that direction by yourself, jh. Your “No middle ground. No debate. No correction.” doesn’t exactly count, eh ? The Jabbauitical twisting of the truth…. Your attempts to take the middle ground at every opportunity paint you more as a politician than an honest commentator more interested in the truth. Francis knows full well that his ‘omissions’ may well sow doubt however minute in the minds of some. 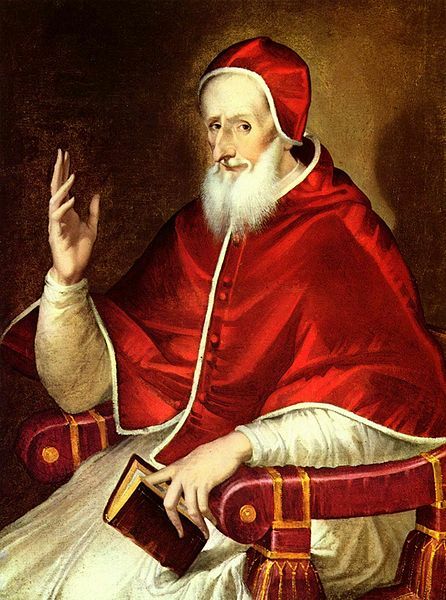 ” Cardinals have the right to make such proposals” ….And Popes have a obligation to defend doctrine and against termites that eat away and erode Doctrine and any hint of heresy. He Chooses not to do so. “Refusing to Answer the Dubia” …..More cunning than a S…house rat. Need I say more? “Inserting into a report of a Synod,’ a proposal.” More of the Shouse rat. “Endorsing an interpretation of an exhortation….that allows H/C to Adulterers” More of that rodent. I agree, none of the above may constitute outright heresy, but by hell it sure smells like same. The Pope is mad like a fox and useful idiots are his favourite people. Please Pray for the Pope and for the Church. Orthodoxy is no “middle ground”. Frankly, I think it’s the other way ’round — those with doubt in their minds will perceive “omissions” where there are none. Or what, has the Catechism of the Catholic Church refusing Communion to adulterers been somehow “cancelled” by some “omission” ? 1650 Today there are numerous Catholics in many countries who have recourse to civil divorce and contract new civil unions. In fidelity to the words of Jesus Christ – “Whoever divorces his wife and marries another, commits adultery against her; and if she divorces her husband and marries another, she commits adultery” The Church maintains that a new union cannot be recognized as valid, if the first marriage was. If the divorced are remarried civilly, they find themselves in a situation that objectively contravenes God’s law. Consequently, they cannot receive Eucharistic communion as long as this situation persists. For the same reason, they cannot exercise certain ecclesial responsibilities. Reconciliation through the sacrament of Penance can be granted only to those who have repented for having violated the sign of the covenant and of fidelity to Christ, and who are committed to living in complete continence. What’s false here is the notion that Catholic doctrine can somehow be “changed” by some pontifical text that seeks to do no such thing in the first place. Excellent video from Geoff. Will help people make up their minds about Catholicism. “Useful Idiots” as you well know was used by someone else to describe people who have not the ability to see when they are being duped and used for a cause. It’s use by me was not meant as an insult directed at you nor is it inane . So Right… but the fact of the matter is that some are doing precisely that and they do so because they have been led to believe that is their right and and that they do no wrong by ambiguities half truths and omissions put forward by this Pope and his cohorts and may I add by people like you. “CATHOLIC DOCTRINE CANNOT CHANGE” (again we agree ) but practice certainly can and is doing so as we speak. How exactly are “people like me” (whatever that’s supposed to mean) “adding” “ambiguity” by clearly pointing to the CCC 1650 which states unambiguously that those “divorced-remarried” in situations of adultery cannot receive Eucharistic communion as long as this situation persists ??? Do you understand that there’s a clear difference between being extremely unhappy with those claiming to be some sort of “resistance” or “remnant” and who are actively promoting rebellion and confusion among the Faithful — and the entirely separate situation of those living in permanent states of objective adultery ? Scapegoat?? He’s the Pope, Jabba, for Heaven’s sake! He is the one holding the keys of Church. If we are not to blame him for all these un-Catholic horrible things going on in the Church that he either commits himself, or condones in his hand-picked progressive bishops, then who are we to blame? St. Thomas Aquinas said: “Take note that if there were a danger to the Faith, subordinates would be bound to reprove their prelates, even publicly.” The Dogmatic Councils of the Catholic Church speak about true obedience to the Pope, not blind obedience. Nobody is required to like Pope Francis, and nobody is required to agree with certain of his personal opinions, but disliking this particular Pope or disliking his personal “style” or his manner of providing his teaching Ministry — I don’t particularly like this Pope either, but that doesn’t mean I’m going to start going around devising false accusations against him, as some others have clearly decided to do. First of all, it is not a question of liking or disliking this Pope – that is just childish talk. Personally speaking, I certainly dislike much of what he says and does – how could any Catholic not do so? – but that is not the same thing. Have you taken a look at the link to those “Francis quotes” tradcat4christ posted? It’s pages long and truly horrific! All the same, I pray for Pope Francis every day; we have a Christian duty to do so, and he is in great need of prayer..
And I don’t know who you are referring to with your “false accusations” remark. Unfortunately, most of the information of PF’s shenanigans coming our way in this cyber age are immediate, and often even live (e.g., talks, homilies and airborne interviews) and not secondhand information, so are anything but “false” accusations! (You) Not in my name they don’t — unlike some others who most certainly do, such as Bishop Schneider, or the Cardinals who presented their Dubia concerning the exhortation. If you think the 250+ signatories of the Filial Correction do not speak for you, but that Bishop Schneider and the dubia Cardinals do, I’m sorry to have to tell you that both Bishop Schneider and Cardinal Burke have wholly endorsed the Filial Correction. In fact Bishop Schneider did so quite recently in a long televised interview where he was talking about the current crises in the Church. There is little difference between the worries expressed and questions asked to the pope of the FC and those of the dubia. 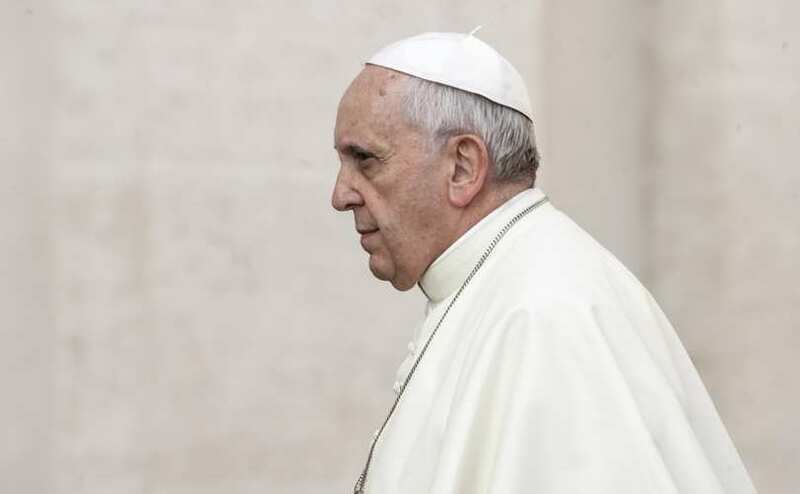 They are both seeking (in vain, as it appears) a reaffirmation of Catholic teaching from the pope… making it clear in this way that they do not want to believe he is promulgating heresies! IOW, they are trying to give him the benefit of the doubt. It is Francis who is making it so very difficult for any of these honest questionnaires to continue hoping the pope’s views are Catholic and in line with the Church’s eternal truths! Finally, your putting these faithful, orthodox Catholic signatories of the FC into the same box as that string of condemned heretics and schismatics you quote is not only uncharitable and disparaging, it is also libellous. I accept the fact that you disagree with me – of course you have every right to do so – but please desist in twisting my words or trying to bring me over to your own false notion that the pope cannot be criticised just because he is the pope. I hold the Papal office in very high esteem – I always have done since my earliest days. Our Lord and Saviour gave the command to Peter to “feed my sheep” (i,e. nourish the flock; protect them from danger (error); teach them the truth I have imparted to you.) If a pope fails in all of these things is he not disobeying Christ? Is not our first loyalty towards Christ? Should we not protest such a betrayal? No, according to you we should not because that would be (oh horrors!) tantamount to creating a schism. A schism from true Catholicity is exactly what Pope Francis and his Gallen mafia pals et al look all set up to create if they continue down the path they’re taking. Blind Obedience to the Pope? I’ve watched it twice, and no he does not “endorse” the claims of the 62 in that interview, but rather he supports the general idea that there is a troubling spread of heresies within the Church. And sorry, I cannot see that ANY Bishops or Cardinals are signatories to that letter. It is neither faithful, nor orthodox, nor catholic to spread direct falsehoods about, just the worst example, the norms propagated in the Roman Diocese by Cardinal Vallini who has NOT approved any kind of “Communion for adulterers. Have you read those norms, or do you just believe these people uncritically ? I have never claimed that the Pope “cannot be criticised”. In point of fact I was disputing your suggestion that men should be believed simply because of their “expertise”. If a pope fails in all of these things is he not disobeying Christ? Is not our first loyalty towards Christ? Should we not protest such a betrayal? 1) That’s a big IF. 2) Obviously. 3) That’s still a big IF. As for your conclusion from that, it’s completely false, given that it’s based on a strawman — whereas my actual point is that no heresy in the Pope has been seriously demonstrated, neither by these 62, nor by anyone else. And without that IF, there can be no legitimacy in any attempts to act as though there were such an IF. And no, the reason why these people are drifting into schism has nothing to do with what you seem to be reading into my posts. How about not twisting my words before you start accusing me of twisting yours, especially when the brunt of my criticisms is directed towards 62 entirely different people than yourself ? Or what — is it somehow more permissible to criticise the Pope than it is to criticise 62 self-appointed Papefigues ? Apologies for taking so long to reply; I hope you are still looking in here. I began to read the true story of communist infiltration into the priesthood in this book when I was young and more naive than I am today 😉 . It truly shocked and terrified me so much so that, even though it’s not a very long book, I couldn’t finish it. We have plenty of evidence at our hands today to help us comprehend the transformation that has taken place within the mindset of a large section of the Church’s hierarchy, but many still prefer to turn a blind eye towards it! Russia today is returning to her Christian roots, but the Satanical evil of her atheistic Communist era has taken firm root nearly everywhere else, especially in Western nations. A tragic fulfilling of Our Lady’s prophesies at Fatima! But yes, kathleen, it was pretty much inevitable that you would be in the midst of my criticisms, for which I can only apologise, because it was inevitable. Enough Jabba, I am not going to be drawn any longer into your games of “wordplay”! It is clear where I stand… and Geoff Kiernan*, JH, the 250+ signatories to Catholic orthodoxy as that laid out in the Filial Correction, and all those millions of silent but perturbed and suffering Catholics worldwide too who cannot understand how a Vicar of Christ could be trying to steer the Barque of Peter onto the rocks of destruction. Without wanting to sound patronising (although it inevitably does I’m afraid) I would advise you to take a little time out in prayer and reflection instead of hours of tapping out an incomprehensible politicisation of the Faith . * Great video Geoff, very amusing! Good points made in your comments too. I apologise too for any unnecessary irascibility I might have shown. We’ve known each other too long in animated discussions on Our Glorious Faith, and fought too many battles with really nasty internet trolls over the years, to allow a disagreement between us to last longer than it takes to tap out a comment. I can be very impetuous sometimes. By the way, thank you very much (and JH too) for your kind blessings for little “blondie”… not his real name of course 😉. Thank you all for further explanations. Pray is the order of the day. Yet another demonstration that there is more than one way to skin a cat. Better to leave the poor creature unskinned, I’d have thought – but too late now. However, I again applaud the video which so amusingly portrays the Holy Father as Hitler. Excellent stuff, although possibly a trifle thick-eared, unsubtle, crude, childish, lumpen, and generally unsophisticated for many people’s tastes. But the heck with them. Lot of toffee-nosed snobs, eh, Kathleen? Pope Francis is unmasking himself. He is not a true man of God. But the good news is God himself will show him up as he really is….a wolf in sheep’s clothing. Thank God for the true priests and bishops who will stand firm against the forces of evil.